A food truck that specializes in churros is EVERYTHING! – Wichita By E.B. Home Food Trucks A food truck that specializes in churros is EVERYTHING! A food truck that specializes in churros is EVERYTHING! Oh. My. Gosh. 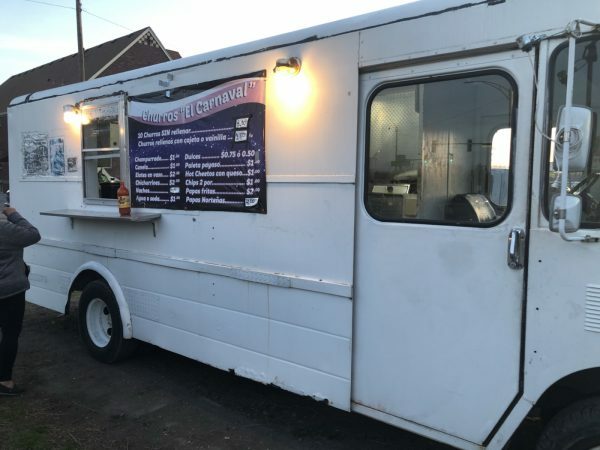 Did you know there is such a thing as a churro truck? Now for those of you who don’t know, churros are a fried-dough pastry snack with a peculiar long form, fried until they become crunchy, and sprinkled with sugar and cinnamon. They are commonly found at many Mexican restaurants. 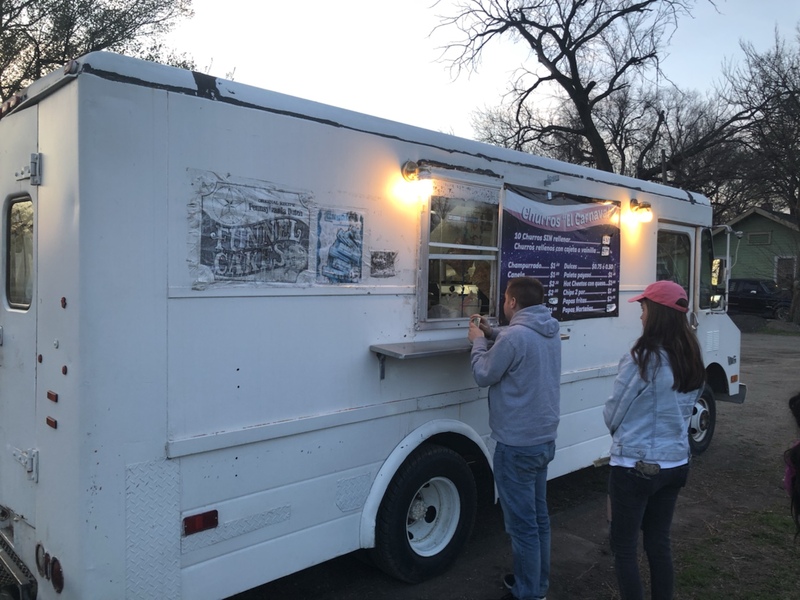 But for some time now there has been a food truck parked at 512 W 21st St just east of Rostizeria Los Reyes and they specialize in this delicious treat. Introducing Churros El Carnaval. 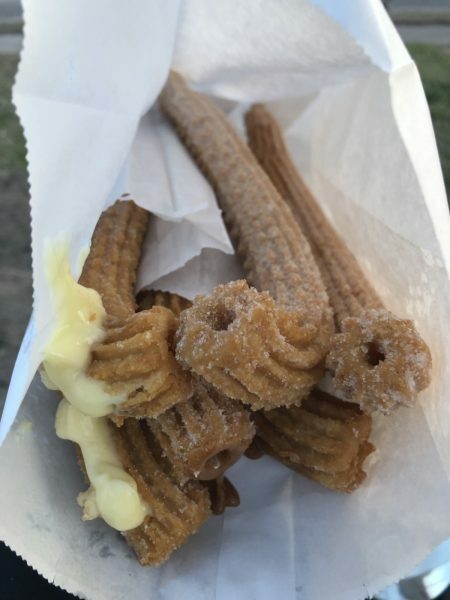 At Churros El Carnaval they have other things on their item like nachos, french fries, funnel cake and other treats but the star of the show was truly the churros. They have three basic kinds you can get. Basic regular churros, churros stuff with caramel or vanilla creme. If someone offers three types of churros, you order three types of churros. I heard they go excellent with champurrado which is a warm Mexican drink similar to chocolate milk but thicker and richer. 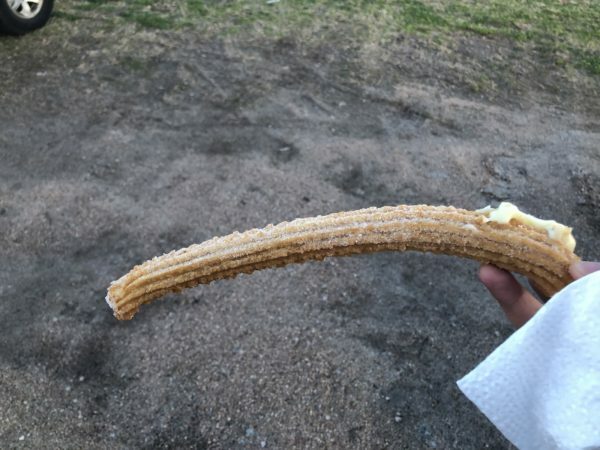 Some people dip their churros in the champurrado but unfortunately they were completely out of it that evening. So we opted just for the churros. It took them probably less than a couple minutes to have them ready for us. Our six churros were served in a bag and were piping hot. The smell was incredible. If they could offer a churros scented candle, I’d be all over that. They are best when eaten immediately upon being served. If you let them sit out for a while, the texture and quality drop. So we hopped in the car and started chowing down. They had a nice crunchy exterior that wasn’t too hard at all; perfectly fried for a pastry. There was no debate between us that the best was the vanilla stuffed churros. No question in my mind they were probably the best churros in town. The regular ones were also fantastic. We probably could have done without the caramel but for what it’s worth I’m not that big of a caramel fan to begin with. The speed of the service was quick and the prices can’t be beat. 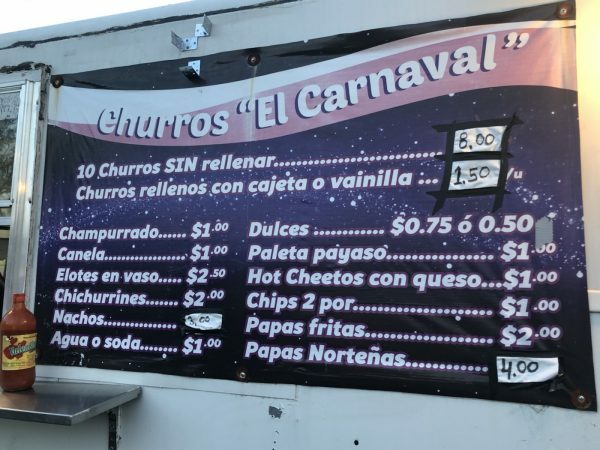 Many places charge $2 or more for churros. I believe some of the fairs have stands and sell them for $500…. I dunno but it’s high. I’ve heard about this truck for probably two years now and was finally able to make it out and didn’t regret one second of it. Now I just need to go back when they have champurrado available. The BEST churros in the Midwest! She is in love with my churro..